Tantawi, not President Morsi, is effective head of all three branches of government. We shall argue to the contrary: Not only was the election symbolic, but it was also illusory, in that the military leadership scripted it. Morsi is not the most powerful politician in Egypt or the commander-in-chief. Arguably, he does not even run the Muslim Brotherhood. His job is undefined. A military coup could brush him aside. For the first time since 1956, Egypt’s president is a secondary figure, fulfilling the secondary, functionary role long familiar to its prime ministers. A picture of Morsi and Tantawi reveals the terms of their relationship: Not only is Tantawi sitting on the left side, where prior Egyptian presidents (Nasser, Sadat, and Mubarak) ritualistically sat when hosting a visitor, but their meeting took place in the Ministry of Defense, not in the presidential palace, which protocol would normally require. Mohamed Tantawi is the real ruler of Egypt. Chairman of the Supreme Council of the Armed Forces (SCAF), field marshal, and minister of defense, he serves not only as the commander-in-chief but also as the effective head of all three of Egypt’s branches of government. Tantawi is an autocrat with near-absolute powers. As chief representative of the military junta that has been ruling Egypt since February 2011, his job is to extend the junta’s rule indefinitely into the future, thereby assuring officers their perks and privileges. 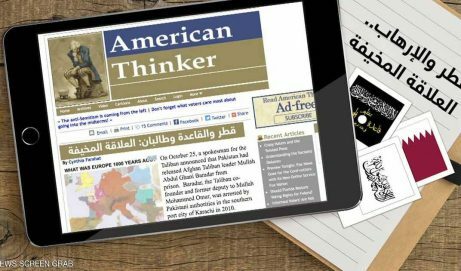 The SCAF exploits the Muslim Brotherhood and other proxies as its civilian fronts, a role they are happy to play, as it has permitted the Islamists to garner an outsized percentage of the parliamentary vote and then to win the presidency. 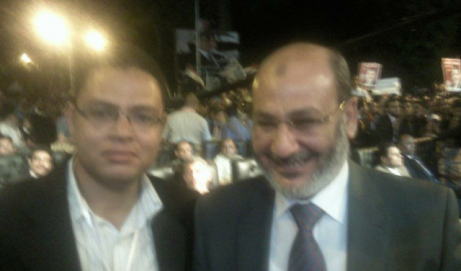 Reports from Egypt indicate that during the suspicious week-long delay before the results of the presidential election were announced, the SCAF met with the Muslim Brotherhood’s real leader, Khairat El-Shater, and reached a deal whereby Morsi became president but the SCAF continues to govern. To understand the SCAF’s power, note three actions it took in conjunction with the presidential election. 1. Imposition of martial law: On June 13, the justice minister authorized the General Intelligence Services and military police to arrest civilians at will and incarcerate them for six months if they express opposition to the SCAF, the police, or their Islamist proxies through any form of writing or art. Protesting these same institutions on the streets can lead to a life sentence. 2. Dissolution of parliament: On the grounds that the parliamentary elections of November 28, 2011, and January 11, 2012, breached the constitution (which prohibits party candidates from running for “individual” seats), the Supreme Administrative Court ruled them invalid in February 2012. 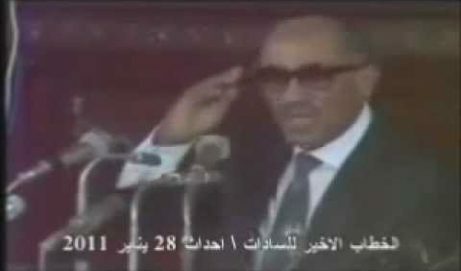 On June 14, the SCAF-controlled Supreme Constitutional Court confirmed this decision and dissolved parliament. In retrospect, it appears that the SCAF, which oversaw those elections, intentionally allowed Islamists to break the law so as to have an excuse to dissolve Egypt’s fraudulent parliament at will. 3. Establishing the premise for a coup: The SCAF issued a constitutional declaration on June 17 that formalized its intention to prolong the military’s 60-year-old rule. Article 53/2 states that, in the face of internal unrest, “the president can issue a decision to direct the armed forces — with the approval of SCAF — to maintain security and defend public properties.” The basis for a military coup d’état could hardly be more baldly asserted.